The Objective paper (Part-B) for all the subjects have to be answered in the last half-an-hour only. 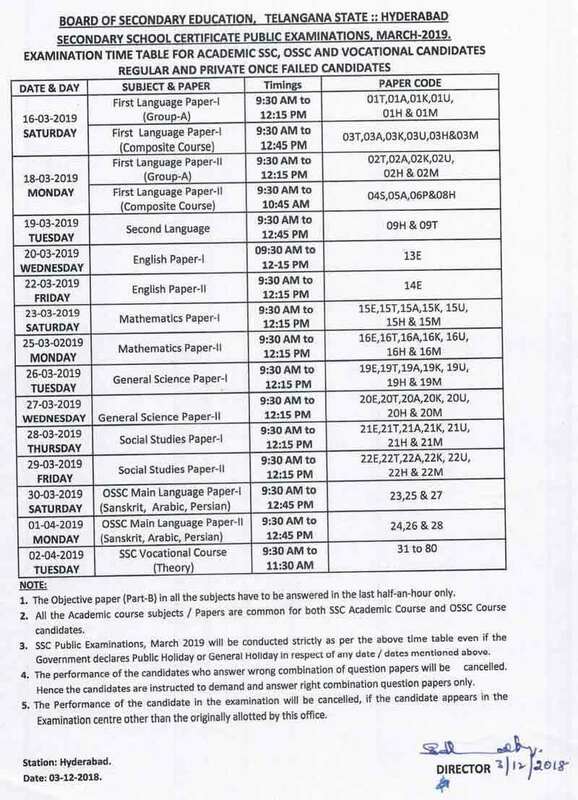 SSC Public Examinations, March 2019 will be conducted strictly as per the above timetable even if the Government declares Public Holiday or General Holiday in respect of any dates mentioned above. The performance of the applicants who answer the wrong combination of question papers will be cancelled. Hence the students are instructed to answer right combination question papers only. The Performance of the candidate in the examination will be cancelled, if the candidate appears in the Examination centre other than the originally allotted by this office.